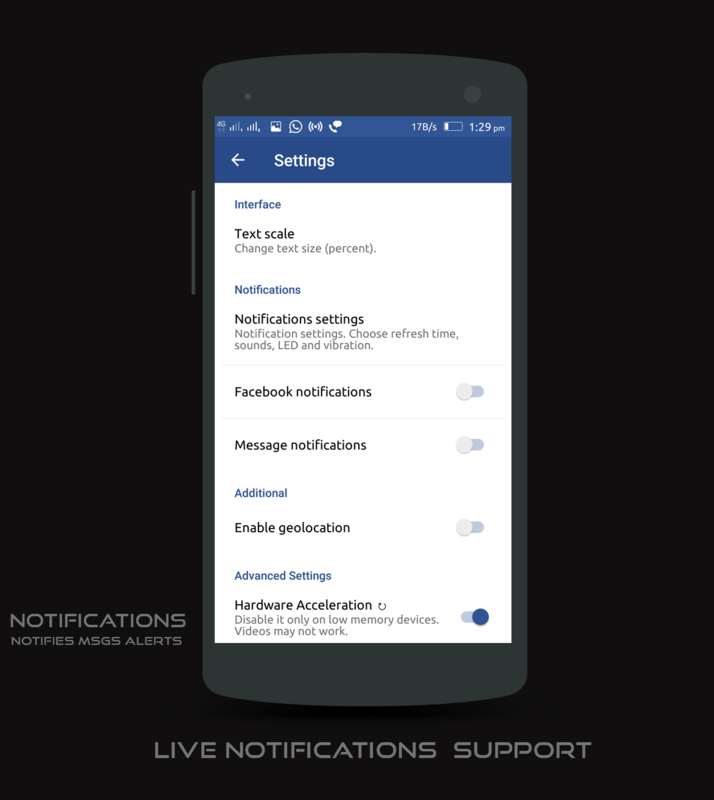 This is a simple Facebook android app with some cool features. many of us use Facebook daily to connect with friends and see whats happening around the world. the official Facebook app is nice with lots of features and all the bells and whistles you need. Unfortunately it heats up my device by doing background processes and always connecting to internet. The connectivity to internet is always needed to check new updates from your friends or news resources, but that is not too good for the battery. i think it pre-loads latest updates so next time you open the app it takes less time to load the latest updates in the app, that is useful. But i need good battery life and does not need all that heavy features. i like simplicity and optimizations. 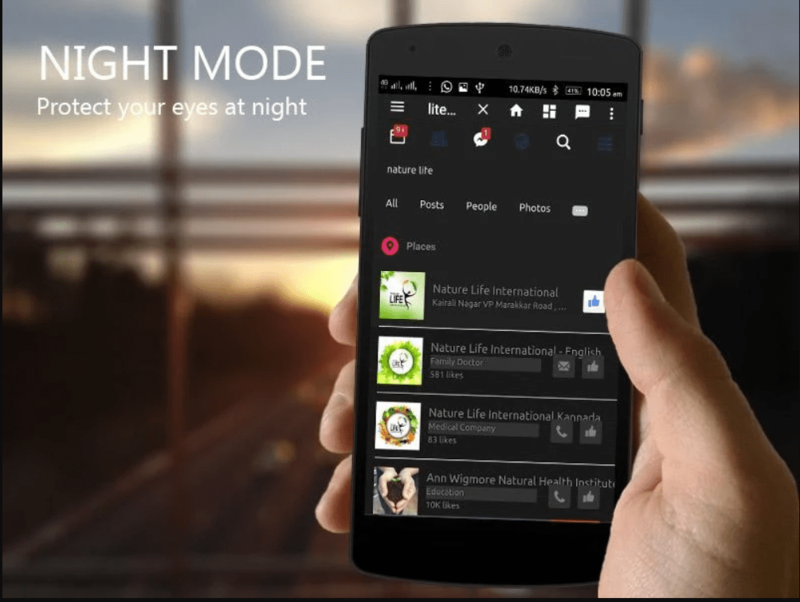 Lite Mode, Normal mode and Night Mode are some of the most important features of this app, these features are the backbone of this app which makes it popular around the world. 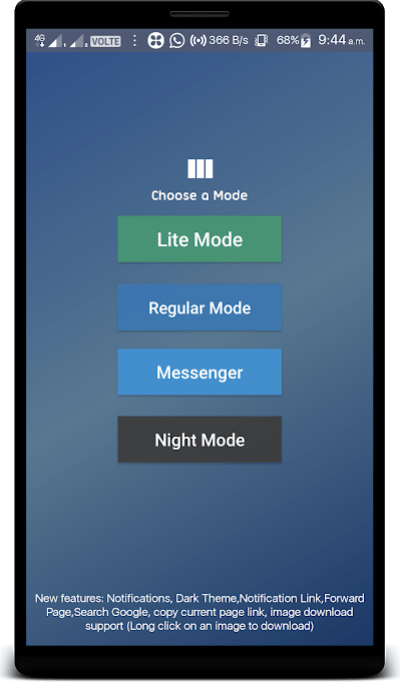 The lite mode is very resource,battery,data and device friendly. this mode is set to load the basic version of Facebook that loads fast or in the blink of an eye if you network is responsive. This mode doesn’t use too much data and is optimized for slower networks. though it doesn’t have all the amazing features of normal mode, this mode is preferred for slower network or low end phones. 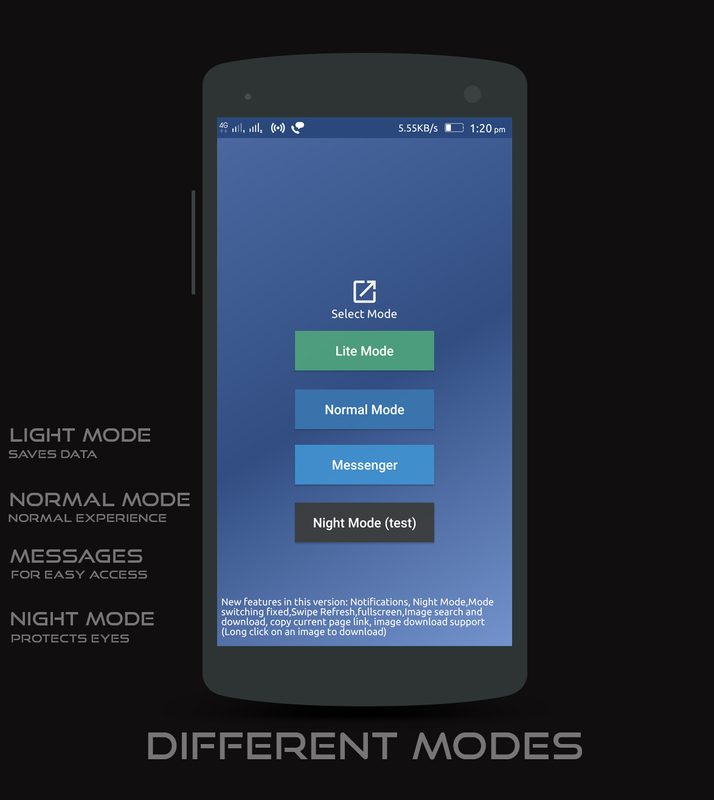 The Normal Mode is still device friendly but is not as fast as the lite mode, yet cool and is real time refreshing. 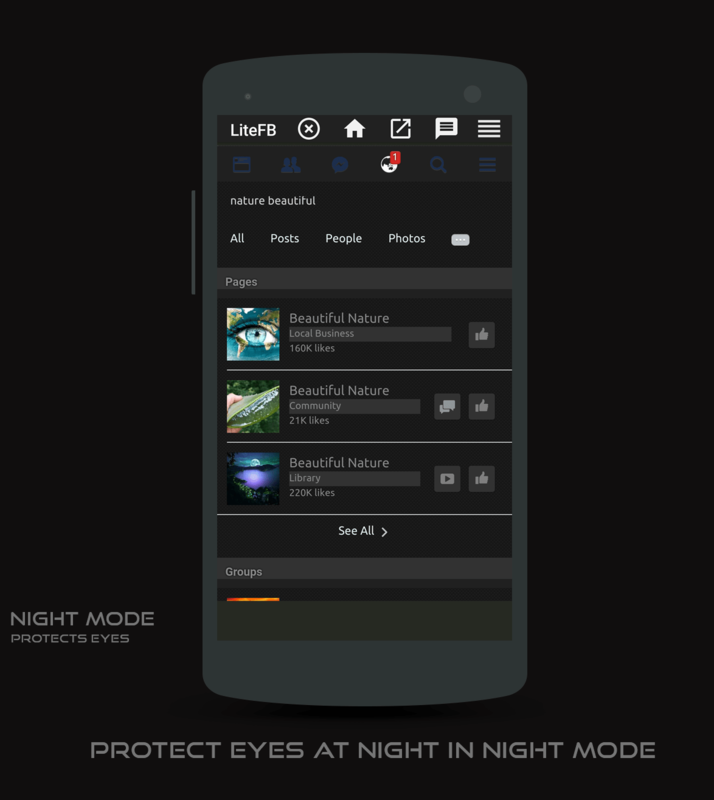 The name says it all, this mode sets a dark theme throughout the app which can help you ease eye strain when you use the app at night. this mode is under research for more improvements. Size of this app is just around 10 MB.